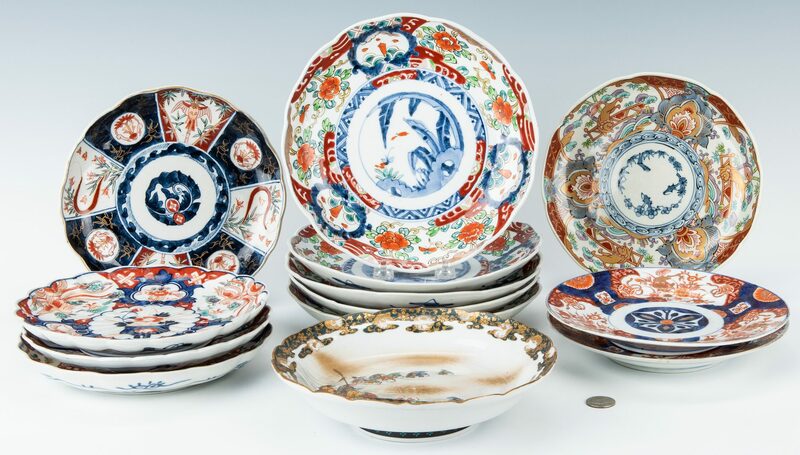 Grouping of thirteen (13) pieces of Japanese porcelain. 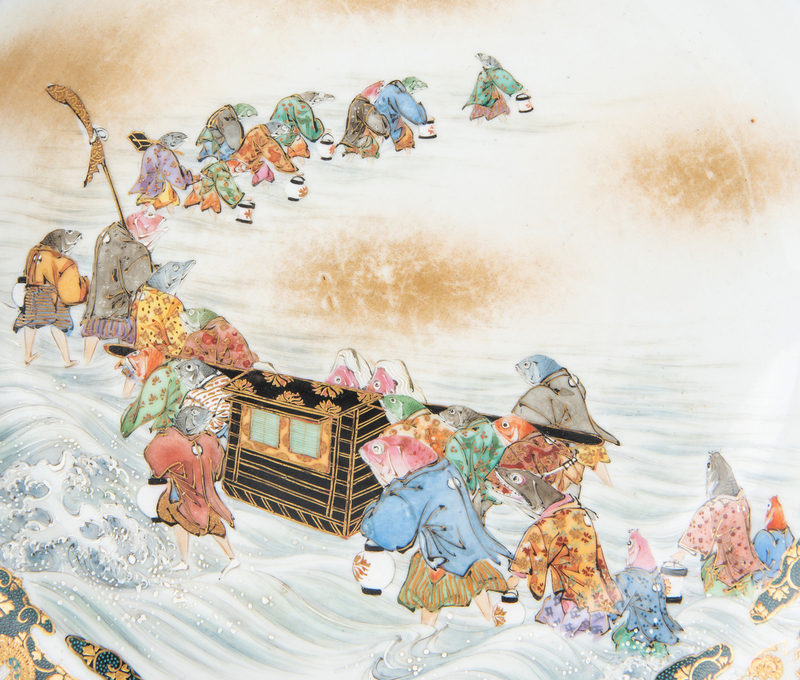 1st item: One (1) Japanese Satsuma bowl, featuring a satirical scene of anthropomorphized fish engaged in a daimyo procession traversing through ocean waves against a white ground, the scalloped rim with gilt decorations of stylized clouds, crane emblems, and floral garlands against a dark green ground. Floral line decoration and three blue character marks, underside of base. 2 1/4" H x 9" dia. 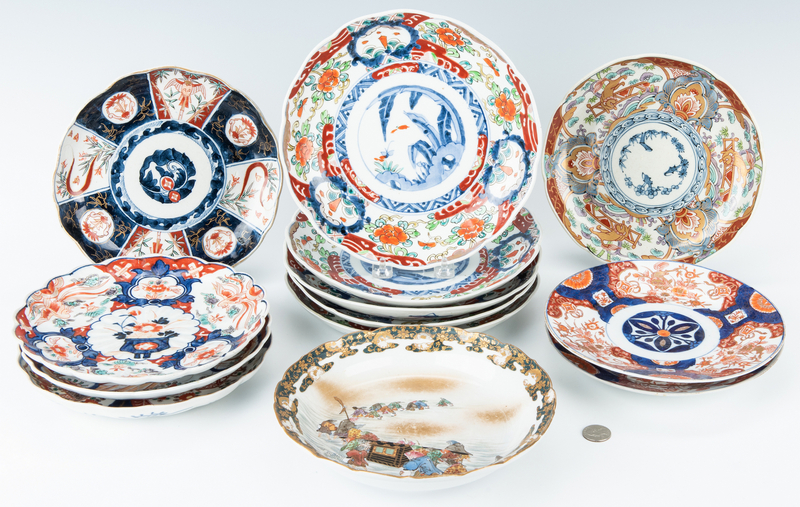 2nd-13th items: Group of twelve (12) Japanese Imari or Arita Plates, alternating panel decoration to the fronts and outer rim decoration. five (5) luncheon sized scalloped rim plates of one design (9 1/2" dia. 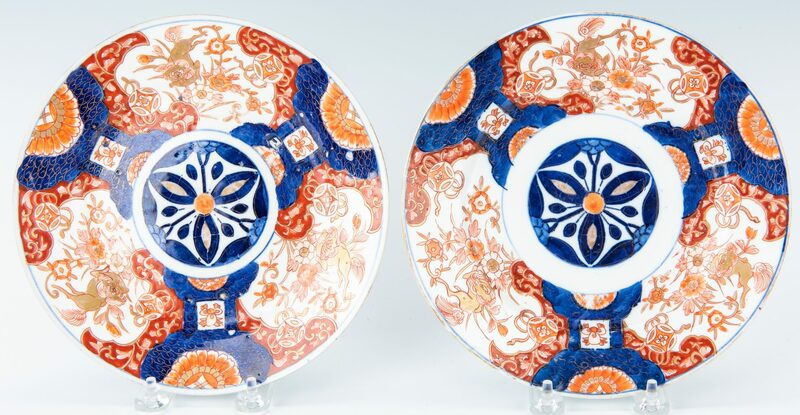 ), five (5) luncheon sized scalloped rim plates of different designs (8 1/2" dia. ), and two (2) luncheon sized round plates of the same design (8 1/2" dia.). 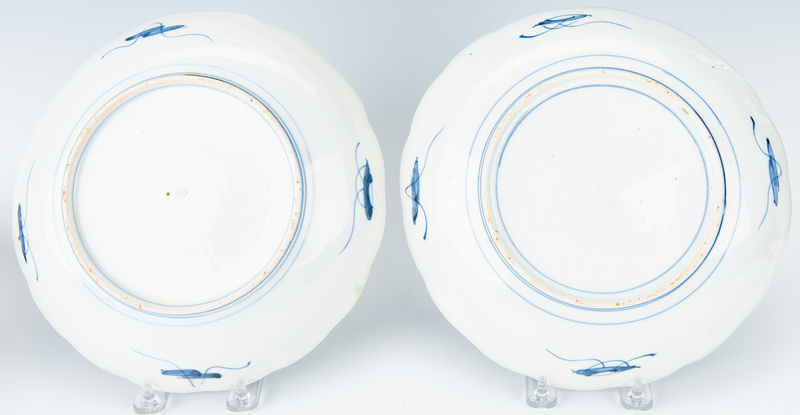 Two (2) plates with character marks, underside of base. Late 19th/Early 20th Century. CONDITION: 1st item: Overall good condition with minute areas of loss to gilt on rim. 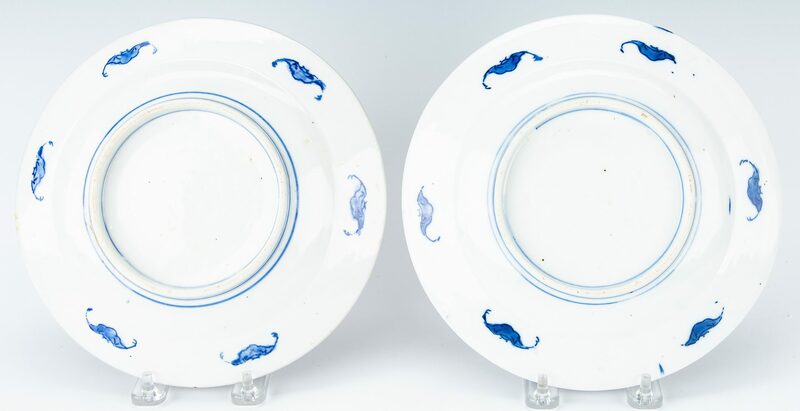 2nd-13th items: Overall good condition with surface scratches, fading to decorations. Small areas of sticky residue to three plates. Areas of loss, largest 1/4", to glaze of one round luncheon plate.